Capitalism and consumerism took hold of the world, especially of America and it’s eastern and western allies that had set to work trying to rebuild it after the last great war. Such atmosphere can give rise to brand new forms of art. And it did: in 1955, as classical and “old” modern art (which at the time it was Abstract Expressionism) fails to captivate the hyper-consumerist common audience, artists began to look for a new style and found it in the form of popular media. What they found is that pandering to the sensibilities of the crowd is profitable, so they created art that is more recognizable by the crowd. They choose a style of the brightly coloured kind, imitating the style found in comic books. Comic books appeared in the 30’s but experienced a sales decline as its fans were sent off to war in the mid 40’s. It made a comeback after the war and became an iconic piece of entertainment and a recognizable medium. And so artists went with that. This reaction to the failing popularity of the status quo by using a popular art style became what is known as Pop Art (from the words “POPular” and “ART”). This style then became the king of western art from the mid 50’s until the 70’s where it eventually met its decline. By the mid 50’s the artists making pop art has cut the roots of Abstract Expressionism. Artists like Robert Rauschenberg, composer John Cage, and performance artist Allan Kaprow championed and advocated pop art. This is the USA’s artistic world that Roy Lichtenstein found himself in after he applied for a teaching job at Douglass College. There he met Allan Kaprow and became involved in the movement. He didn’t start as a Pop artist, even though he became one of the leading figures of the movement: he started with Cubism but eventually used Abstract Expressionism to produce art. Sadly, however, all his pieces at the time were very unremarkable, and were largely ignored. So you can just imagine: a guy who never had any luck as an artist, using an art no one can really relate to, found an art style that’s a mix of Surrealism and Conceptual art but uses elements of popular media to create an art that can easily be understood by many instantly, art that is both avant-garde and made to appeal to the masses. Excited, he got into pop art fairly quickly and soon found himself among other prominent artists of that movement, like Robert Indiana, the notorious Andy Warhol, and Claes Oldenburg. By 1962, Roy has started producing pieces that led to a very successful show at the Leo Castelli gallery. It was a sell-out one-man show that exhibits his free-hand painting of comic-strips. His works were displayed at two very important art shows that year: “New Realism” at the Sidney Janis Gallery and “The New Painting of Common Objects” at the Pasadena Art Museum. While this is all happening, the pop music scene grew like a wildfire. The greatest band of the century, the Beatles was a product of pop art entering the music scene. In Britain, pop art was pioneered by Eduardo Paolozzi and his colleagues in the Independent Group after a discussion of the artistic value and relevance of contemporary popular media produced for the masses. In 1952, Paolozzi presented the “I Was a Rich Man’s Plaything” collage. 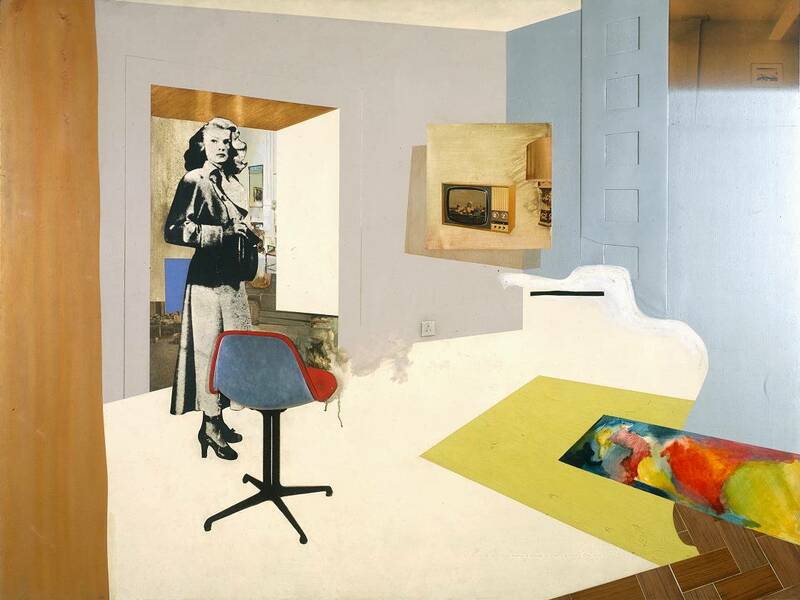 Four years later, his colleague, Richard Hamilton, exhibited his own collage, the “Just What is it That Makes Today’s Homes so Appealing?” These two became the first examples of British pop art. By 1961, pop art is on the rise and a number of them were exhibited in the Young Contemporaries Exhibition. Elsewhere in Europe, pop culture from the USA and Britain mixed in with the local politics and culture. The French avant-garde pop art scene, for example, was a bit more political and Dadaist than the other scenes. Pop art was eventually superseded by other art movements, but only after it gave the western art world a revitalized market and new artists. 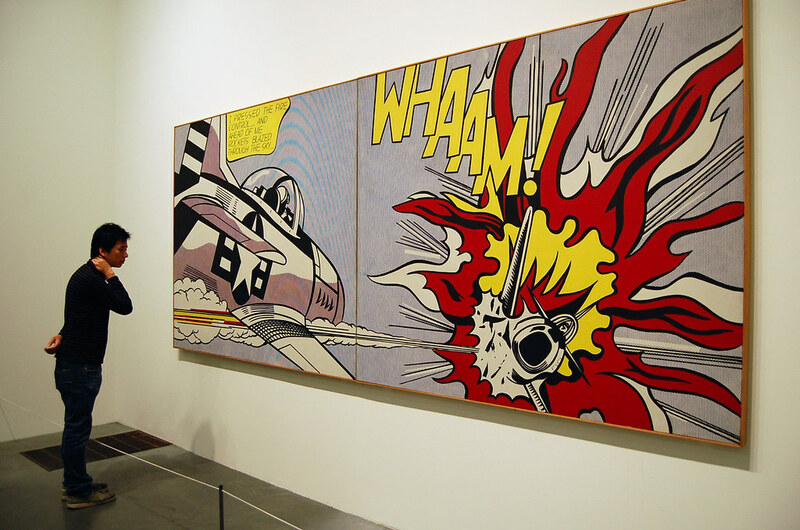 Though it was short, around one and a half decade, the movement was able to produce great works like Whaam! and Campbells Soup.